US Soccer has mandated the transition from our current age group system, based on the school year (August 1st – July 31st) of the player’s birthdate, to one based on the calendar year (January 1st to December 31st) for the player’s birthdates. This is calendar year model is used around the world, and for our state, regional and national teams. These changes been approved for adoption by all national organizations, USYSA and US Club, our state association, EPYSA, and by every league in our state association, including ICSL, EDP, MAPS, DELCO and PAGS. Effective, August 1st, 2016, all teams must be formed using the new mandated birthdate age groupings. The complication, in Eastern Pennsylvania, all clubs conduct travel team tryouts and form news teams in April and May. These are the teams that start official league play after the August 1st date. This means that during tryouts we will be enacting the new age group system. The new system does simplify one thing, all kids born in the same year will be playing in the same age group. For the 2016-17 age groups please refer to the attachment below. 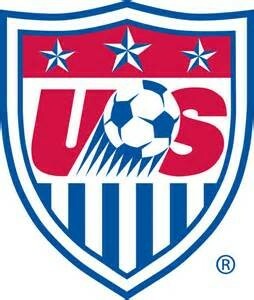 Another change mandated by US Soccer has to do with how games are played at the youngest age groups, U6 through U12. The following changes will be put into effect as of August 1st, 2016. The format for U6 through U8 age groups will change from our current format of 4 vs. 4, with goalkeepers, to 4 vs. 4, without goalkeepers. With this, the size of the field and goals will change slightly. U9 and U10 will play 7 v 7 (with goalkeepers) as opposed to the 8 vs. 8 they have played in the past. The field and goals will be smaller than at 8 vs. 8. U11 and U12 will play 9 v 9 (with goalkeepers) as opposed to the 8 vs 8 they have played in the past. The goals will be smaller than current 8 vs. 8 size but the field will be about the same size as our current 8 vs. 8 fields. The changes to the U6 through U12 age groups have been universally applauded. The guiding principle is that fewer players on a field provides for more touches for each player. The smaller field puts a premium on individual technical skill. The combination of both, creates a better developmental environment for all. Our goal at Buckingham United & CBAA Soccer is to effectively implement the US Soccer Player Development Initiatives through communicating with our membership and creating opportunities for families to experience the effect of these changes well before they are implemented. Please feel free to contact us, if you have any comments or questions regarding the US Soccer Player Development Initiatives.